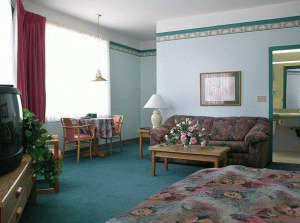 When you stay at the Cedars Inn Hotel & Convention Centre you can enjoy one of our 45 spacious rooms. Many rooms are equipped with kitchenettes and refrigerators. Designated smoking and pet friendly rooms are also available. Our rooms are full of extras such as data port phone/fax jacks, coffee/tea makers, clock radios and 26" TV's. When at play on the Sunshine Coast in Gibsons BC you need a hotel that knows how to cater to your family and kids. Cedars Inn Hotel & Convention Centre has a beautiful swimming pool and hot tub. Adults will appreciate the whirlpool, sauna & fitness centre and bright & spacious patio area at Cedars Inn Hotel & Convention Centre. When at work on the Sunshine Coast you need a hotel that's convenient, quiet and caters to the corporate client. 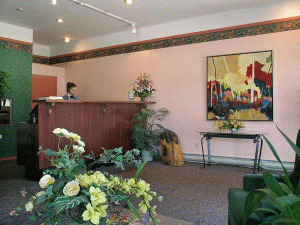 Cedars Inn Hotel & Convention Centre is centrally located in Gibsons, and has excellent meeting rooms. Our meeting rooms and banquet facilities can cater to large events. At the Cedars Inn Hotel & Convention Centre Gibsons our meeting rooms offer a natural and productive environment with convenience and comfort. Our staff is at your service for all your set up, catering, and audio-visual needs. The on-site restaurant provides additional convenience. Please visit Cedars Inn Hotel & Convention Centre Website.